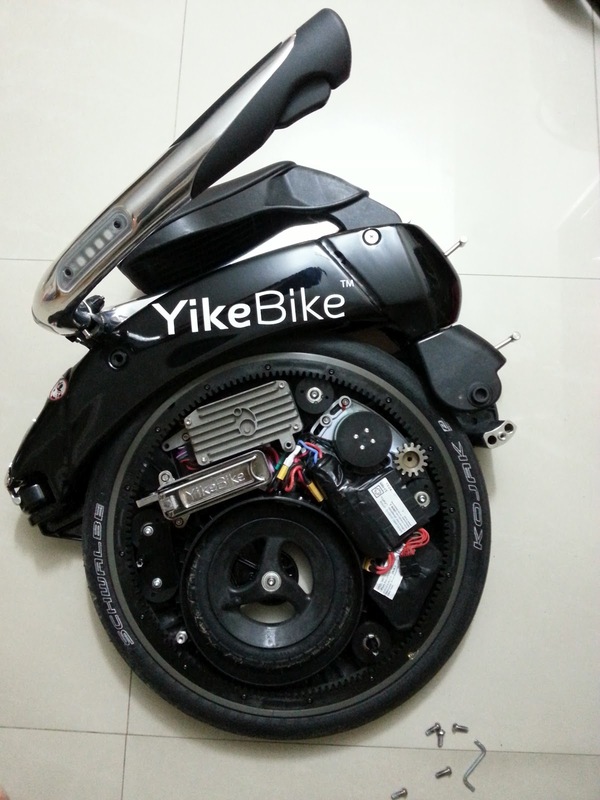 Before we begin our journey on Yike Bike, let me show you the basics on Yike Bike. It has a brake and an accelerator just like your normal car. The accelerator is on your right handle bar and the brake is on your left handle bar. There are also left and right signal lights button. If you pressed both signal lights buttons at the same time, you will get hazard light signals as well! 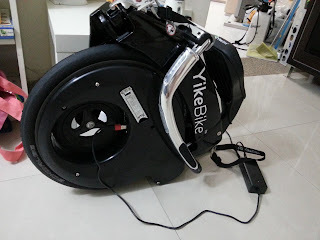 Charging a Yike Bike is as simple as plugging a AC/DC adapter plugged directly into the socket as shown in the photo above just like what you normally do your computer notebook. The adapter runs on 44V DC - 2A. The charging takes about 2 hours to achieve complete charge and it can goes up to a distance of 10km range! Amazing lithium battery technology that it has indeed!